Just as I was starting to get settled to being back in Manila, I received an e-mail from Tigerair: I have a flight coming up in a couple of days. Though I keep close tabs on my flights, it’s still great to receive a reminder, as I know some might forget, specially if tickets were bought way in advance. Isn’t that a lovely gesture? Tigerair Philippines operate its most of its international flights from the Diosdado Macapagal Airport in Clark, Pampanga. I booked the first flight out of Clark, which departs at 7 am. Of course, that meant I had to be at the airport by five in the fricking morning. Luckily, there’s a shuttle from Trinoma that leaves at 3 am, so I was at the airport with plenty of time to spare. Too much even. I finished checking in and cleared immigration a little after 5 am, so I went to find a place where I can lie down and get some sleep. People were crowding in the waiting area on the ground floor, so naturally, I felt the need to get away. I blindly followed a guy going up a set of stairs, and was welcomed with empty rows of benches. That’s more like it. I settled down to catch some zzz’s, putting my eye mask to block out the lights and promptly passed out. I woke up to the terminal filling up, but it was still quite empty. I suppose, that’s one perk of flying out from Clark. I headed to the toilet to freshen up, and headed down to the gate. They have just started boarding, and I was surprised as it was earlier than the boarding time they set. It was just as well, at least we’ll be able to leave on time. 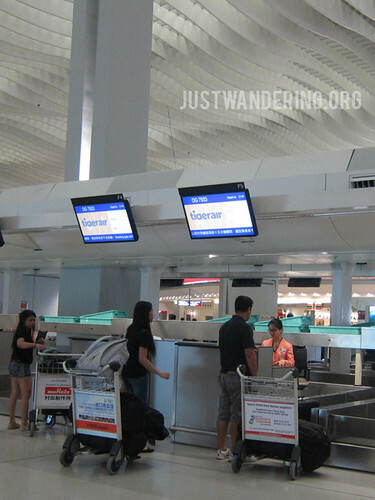 No lines at the check in counters in Hong Kong! Unlike departures from NAIA, we didn’t have to wait 30 minutes in the plane for our turn. The doors were locked and armed, we push out, taxied down the runway, and were up in the air in no time. It was an uneventful flight, smooth and got us to Hong Kong safely. Hong Kong is pretty small, and many who visit regularly do the same thing everytime. Though I have a habit of going back to my favorite places in every city, I thought I’d do something different this time. First up was Ichiran. The newly opened Japanese ramen chain has been quite a hit among the locals, and lines were always forming outside, even if the restaurant is open 24 hours a day. It was just past the lunch rush when I arrived, and I was lucky enough not to wait more then 20 minutes. 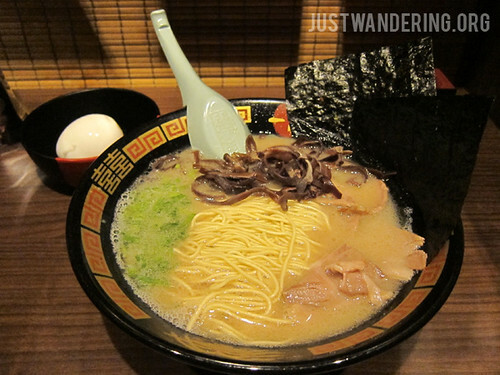 The ramen was great and filling, and gave me the energy to head to my next destination. The only thing I planned to do in Hong Kong was to go to the beach. After spending winter in Australia, I’m antsy to go the beach without wearing several layers of clothing. 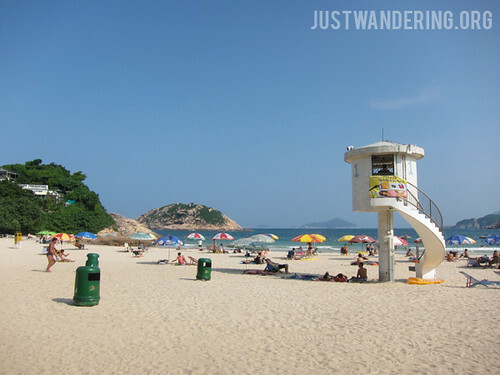 Shek O beach was touted as one of Hong Kong’s best. Located in the South East end of Hong Kong Island, it can be reached via bus from the Shau Kei Wan MTR station. It was a lovely drive on a very lovely day, and seeing the beach and the water from the top of the mountain was a very welcomed sight. The bus terminated at the station, and all the passengers quickly alighted, eager to head to the water. I was taking pictures, and ended up following a local headed to (probably) his home. 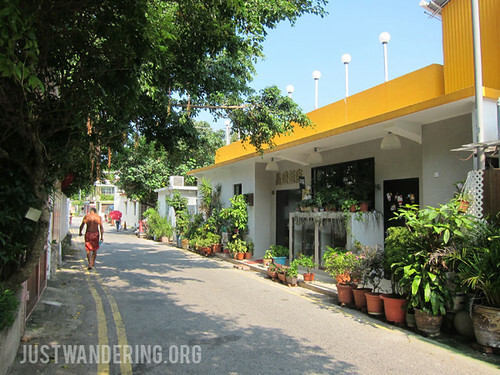 We walked through Shek O Village, a small sleepy town that looks as if it was in Southeast Asia, and not Hong Kong. Seeing all the small houses, not more than 3 storeys high were quite a sight to behold. Shek O beach and village is also a favorite among couples getting married, as I saw a couple having their wedding photos taken there. RELATED: Who's going to Japan? The beach itself is quite nice. The sand was fine and it was clean, and because it was a sunny day, many were out to enjoy the sea breeze and the cool waters. Going to Shek O is one thing I wouldn’t mind doing again and again, should I find myself back in Hong Kong. My flight back to Clark was the last flight of the day. I don’t know if I was too early at the airport, or if the check-in counter staff were very efficient, but there were hardly anybody in the check-in counters. Check-in was a breeze, and I ended up being the first to board the plane, even after meandering around the terminal and forgetting that I still had to go through immigration and security check. I was welcomed with warm smiles from the attendants, still cheery though it was already 9 pm. It was the same crew who flew me to Hong Kong four days ago, and the level of service on the last flight out was as good as if it was the first flight of the day. Tigerair Philippines operate domestic flights from Terminal 4, and operates one international flight from Kalibo International Airport to Singapore. Yes, if you live in Singapore, you can actually fly to spend the weekend in Boracay. They also have an app for iOS and Android that lets you check and book cheap fares from your mobile device. Tigerair Philippines sponsored this flight. You just tempted me to go back to Hong Kong when I just went last month. The beach actually looks nice, didn’t expect that. Wow, great beach! I never really associated Hong Kong with beaches before but this one looks brilliant – I love the fact that there are bins to keep it clean.